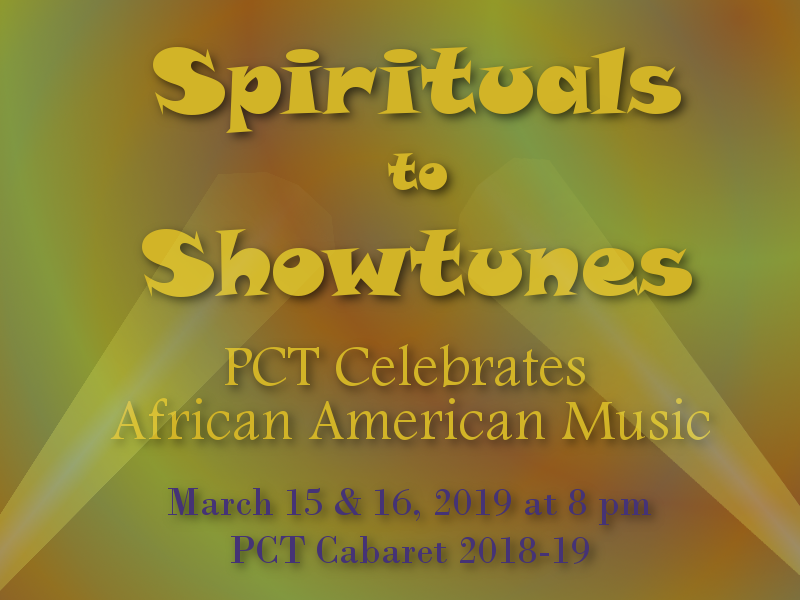 PCT celebrates African-American Music in a cabaret show. This cabaret showcases just some of the songs we fell in love with from African American writers and performers. From spirituals that help to lift spirits in hard times, to love songs that brought couples together, and of course some of the greatest dance anthems. And we can't forget all the great showtunes both written and performed by African Americans on stage. From Spirituals to Showtunes will have your eyes tearing up and your toes tapping. This is one cabaret you won't want to miss!